Dear Candidates, if you are searching Bihar Health Society Recruitment Notification 2018 then here is the latest information for you. State Health Society Bihar has recently issued advertisement for recruitment of 169 Specialist Doctors Vacancies. Applicants those are interested and eligible for State Health Society Bihar Vacancy through online mode. The online application form available from 05th September 2018. Candidates can fill their Bihar Health Society Specialist Doctor Job application form before the last date 30.09.2018. Rest details you require to read our full article properly. State Health Society, Bihar is inviting online application form for recruitment of 169 Specialist Doctors vacancy. This is a golden opportunity for candidates those are searching Bihar State Health Society Recruitment 2018. The online application form is available here as well as the official site. Furthermore, such as eligibility criteria, application fees, selection procedure and how to apply are mention below. So must read below section, to collect information of State Health Society Bihar Jobs 2018. Fresh Update as on 08.09.2018: Hello Friends, Are you looking for Specialist Doctor Vacancy? If yes, We informe you that Bihar Health Society has published notification for filling up 169 Specialist Doctor Vacancies. Candidates must apply online for Bihar Health Society Recruitment 2018 form links given here. What is the Selection Criteria of State Health Society Recruitment 2018? Important Date of Bihar Health Society Jobs 2018 | What is the Last Date of SHS Bihar Recruitment 2018? Check Eligibility Criteria For Bihar Health Society Recruitment 2017 | Who is Eligible For Bihar SHS recruitment 2017 ? How I Attend Walk in for Bihar Health Society Recruitment 2017 ? What is the Venue of interview for Bihar SHS Tutor Jobs 2017 ? Interested candidates must fulfill eligibility criteria also. They should check the education qualification and age limit details to ensure that they are eligible or not. Bihar Health Society Recruitment Eligibility conditions are mention below. Applicants should complete their qualification as MD/MS/DNB post. Candidates those have medical Diploma in the relevant post are also eligible for fill Bihar Health Society Vacancy 2018. Rest details check official notification, which is mention below. The maximum age requires for all post is 55 years. Upper age relaxation is applicable as per govt. rules. Bihar Health Society Recruitment 2018 age criteria made as on 01.08.2018. Applicants selection will be made on the basis of candidates educational qualification. The marks of candidates qualification for Bihar Health Society Jobs 2018. The pay scale will be made according to candidates education qualification. Selected candidates monthly salary information for Bihar Health Society Recruitment is mention below. In Bihar State Health Society Job notification, there is no application fees mention. Applicants should visit official site further information. Candidates those are interested and eligible for State Health Society Bihar Recruitment 2018 may apply through online mode. Here in the below section, we mention some instructions to fill up the online form. First of all visit to official site www.statehealthsocietybihar.org. Download Bihar Health Society Vacancy Notification 2018. Read TOR Information and advertisement details carefully. 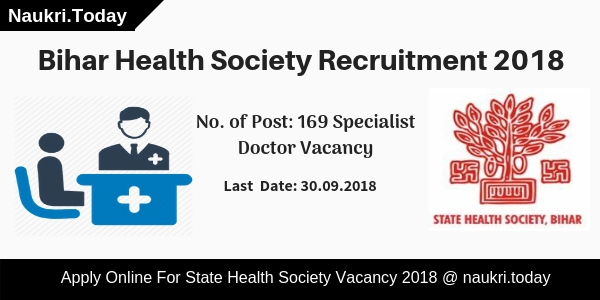 Click on the link Apply Online for State Health Society Recruitment 2018. Enter all personal and educational information. Submit Bihar Health Society Recruitment Online form carefully. Conclusion: State Health Society Bihar has issued notification for recruitment of 169 Specialist Doctors Vacancy. Apply online for Bihar Health Society Recruitment 2018 from 05.09.2018. The last date of apply online for Specialist Doctor Vacancy is 30.09.2018. State Health Society Bihar has recently issued notification for recruitment of 408 Specialist Doctors. Applicants who are interested and eligible for Bihar Health Society Recruitment 2018 may fill online form either here or official site. The registration form of SHS Bihar Specialist Doctor Jobs is available on 09th July 2018. Individuals can fill their application form till the last date i.e. 31.07.2018. 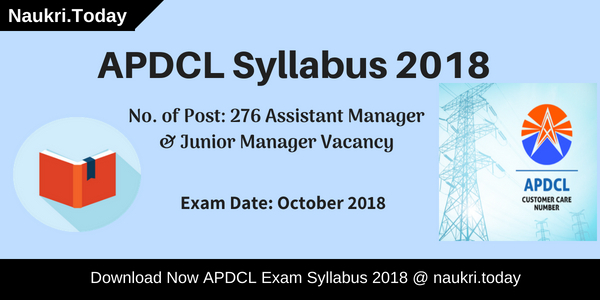 For more information regarding SHS Bihar Vacancy like eligibility criteria, application fees, selection procedure and how to apply is mention below. The eligibility criteria is made as on 01.07.2018. Interested candidates who are going to fill up State Health Society Bihar Recruitment 2018, must eligible for Specialist Doctor Vacancy. Details include on SHS Vacancy eligibility criteria is education qualification and age limit. So before going to fill बिहार स्वास्थ्य समिति भर्ती online application form must check eligibility criteria. For SHS Bihar Specialist Doctor Jobs the qualification is divide according to posts. Applicants should have for Bihar Health Society Recruitment MD in relevant subject from recognized University. Candidates who have complete MS/DGO/DCH/DA in relevant subject from recognized university/institute. For more details check State Health Society Jobs Notification. Participants should not be more than 55 years for all SHS Bihar Specialist Doctor Vacancy. Upper age relaxation is applicable as per govt. norms. SC/ST candidates will get 05 years while 03 years maximum relaxation for OBC category. Furthermore, details check State Health Society Bihar Recruitment 2018. Applicants selection will be made on the basis of their academic qualification. There are total 100 marks decide according to academic qualification. The criteria of Bihar Health Society Recruitment Selection is mention below. For more details check Bihar Health Society Jobs Notification. After selection of applicants they will receive an attractive salary. SHS Bihar Jobs monthly salary will also made according to education qualification. There is no application fees mention on official notification. If you are going to fill the online form must check carefully State Health Society Bihar Recruitment 2018. Interested and eligible candidates may fill State Health Society Bihar Recruitment online form. If you are going to apply online then you must have valid email id and mobile no. Then you can follow given instructions to fill up form of Bihar Health Society Recruitment 2018. Firstly, all applicants go to official site www.statehealthsocietybihar.org. Download Notification for 408 SHS Bihar Specialist Doctor Vacancy. Fill your personal details to get unique registration id. Now again login with fill up registration id, Select id, id document no. and image captcha. Enter your education qualification details on Bihar Health Society Recruitment Application Form. Upload Signature and photograph on your SHS Bihar Jobs 2018. Submit the application form and then take hard copy of it. Conclusion : Bihar Health Society Recruitment 2018 for 408 Specialist Doctor Vacancy. Interested and eligible candidates may fill online form from 09.07.2018. The last date of State Health Society Bihar Specialist Doctor Jobs is 31.07.2018. Read above section carefully for more details. “Are you waiting for Bihar Health Department Recruitment 2017” then here we discuss about Bihar State Health Society Vacancy 2017. Bihar SHS Department has released notification of 89 Nursing/Sister Tutor Vacancy. Candidates who are interested & Apply application form for Bihar Health Society Recruitment 2017, those candidates first check Eligibility Criteria From Here. Eligible candidates can attend walk in interview for SHS Bihar Vacancy on 29th, 30th & 31st May 2017. State Health Society (SHS), Bihar has released recruitment advertisement of 89 Nursing/Sister Tutor Vacancy. This is a great opportunity for all the candidates who are searching Jobs In Bihar Health society. Walk in for Bihar Health society Vacancy will going to held in the last week of May 2017. For more information related to Bihar SHS Recruitment like Age Limit, education Qualification etc. you can check from given below details. Bihar Health Society Tutor Jobs 2017 Education Qualification : Candidates who are going to fill application form & attend Walk in for Bihar Health Society Vacancy should have done B.Sc. Nursing/M.Sc. Nursing/DNEA after GNM Course or equivalent qualification from recognized University. For more details about Education qualification you can check from official NRHM Bihar Notification 2017. Age limit For Bihar SHS Jobs 2017 : Minimum age of the candidates for Bihar Health Society Recruitment 2017 should be 18 years & Upper age must be 37 years as on 01.04.2017. Age relaxation for Bihar Health department Jobs is applicable up to 03 years for Women/BC/EEBC category & 05 years for SC/ST category candidates. Maximum age for retired candidates is 65 years as on 01.04.2017. SHS Bihar Tutor Recruitment Cost of Application : Candidates of General/BC/EBC category should need to pay Rs. 300/- for SHS Bihar Tutor Recruitment 2017. Other category candidates of SC/ST Category should paid Rs. 75/- for Bihar Health Department Hobs. Fess should be deposited through Bank Draft payable at Patna. Pay Scale For Bihar Health Society Recruitment 2017 : Selected candidates for Bihar Health Society Vacancy 2017 will paid pay band as per Department Norms. After Joining Selected candidates will paid Rs. 30,000/- per month for Bihar State Health Society Tutor Jobs. NRHM Bihar Tutor Jobs 2017 Selection Criteria : Candidates will selected for Bihar Health Society Recruitment 2017 on the basis of Interview. Merit list of selected candidates on the basis of Interview Marks will issued on website. For more information about Bihar State Health society Recruitment you can also check from here. Candidates who are eligible for Bihar State Health Society Recruitment 2017 can attend walk in interview from 29th May to 31st may 2017. First of all candidates log on to the official website www.statehealthsocietybihar.org. Click On Official Bihar Health Society Jobs Notification link. If you are eligible then Collect Application, Affidavit & TOR from official website. 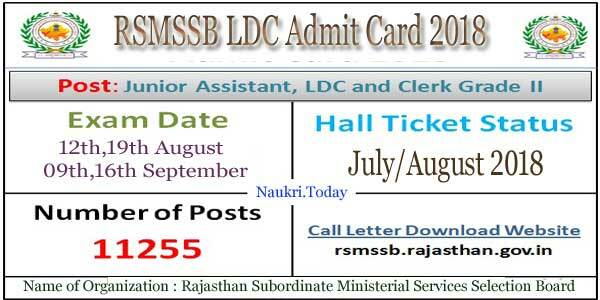 Fill all details inform without any mistake. Candidates should bring all Education Qualification Certificate, Passport Size Photo & Other documents on Interview Venue. Paid Application fee through draft & Carry of Of draft on Interview time. Now carry all required documents & Go to attend walk in. Bihar Health Society Recruitment 2017 For 89 Nursing/ Sister Tutor Jobs. Candidates can fill application form & attend walk in interview for Bihar SHS Recruitment 2017 which will held from 29th May to 31st may 2017..